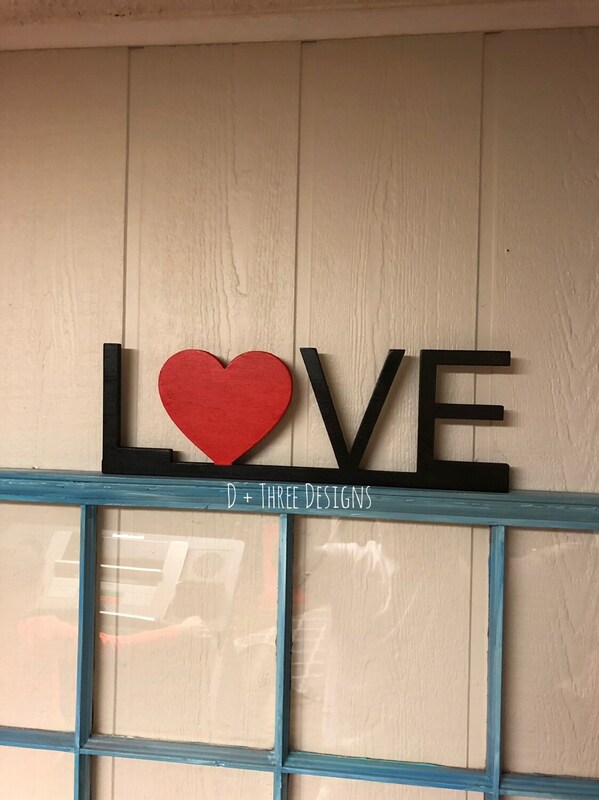 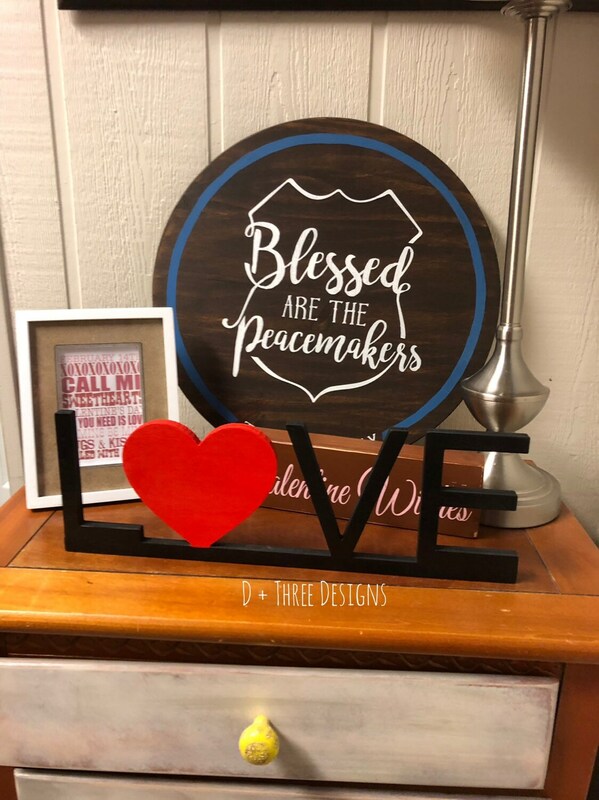 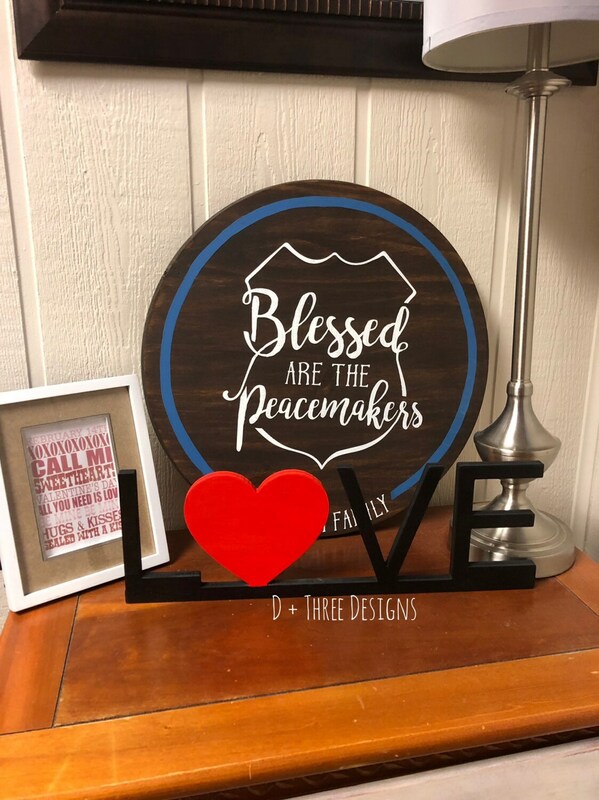 This wooden LOVE shelf sign measures approximately 6.5” tall by 18” wide cut from 1/2” birch wood. 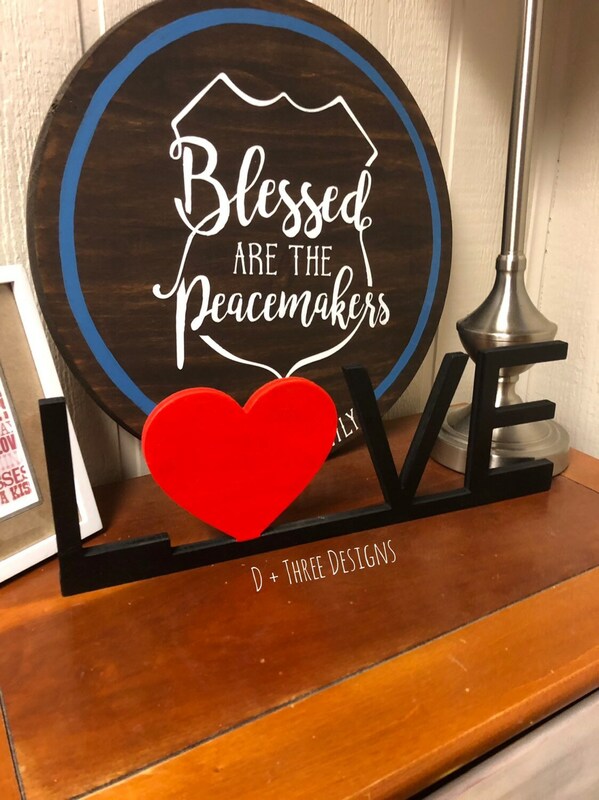 The O is replaced with a heart. 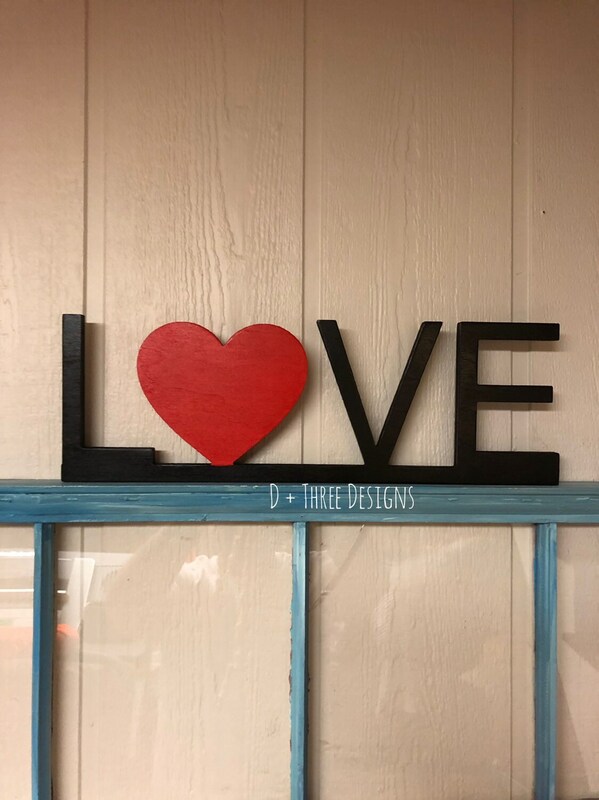 The love sign will stand on its own.